Sonoma County Winegrowers, Sonoma County Tourism, and Sonoma County Vintners have teamed up to be an offical destination partner of the Super Bowl 50 Host Committee. The game will be played at Levi’s Stadium in Santa Clara on February 7, 2016, with celebration events and activities in the year leading up to Super Bowl Sunday, including a full week of events just in advance of the game. 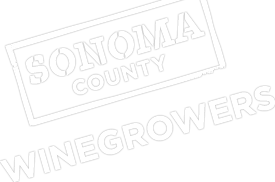 As a destination sponsor, Sonoma County wines will be poured at VIP receptions, NFL owners meetings, as well as media and major sponsor events. Sonoma County is also the only regional sponsor allowed to pour wines inside the event’s “Super Bowl City” fan experience, expected to draw over a million people. Sonoma County’s marketing efforts around this major sporting event will also include reaching out to visitors and football fans to extend their stay in Sonoma County, and connecting local businesses with potential customers. The Sonoma County Winegrowers are proud to work with the Host Committee to educate and inform the public about both organization’s sustainability efforts. The Host Committee has a goal of making this Super Bowl the most sustainable EVER. These game-changing efforts align perfectly with the Winegrower’s goal of becoming the nation’s first 100% sustainable winegrowing region by 2019. San Francisco is the City that Knows How, and when it comes to the 50th Super Bowl, it will be evident that San Francisco and the Bay Area know how to celebrate. Dubbed “Super Bowl City”, the free-to-the-public fan village will celebrate the milestone Super Bowl 50 and to highlight its unique place in the Bay Area. Centered in Justin Herman Plaza, on the Embarcadero at the foot of San Francisco’s famed Market Street, Super Bowl City will feature family-friendly activities for fans of all ages. It will offer a fun – and free – way for locals and visitors alike to enjoy the extravaganza that is the sporting world’s biggest annual event. Sonoma County will have a presence at Super Bowl City, with a Sonoma Lounge representing the best of Sonoma County and showcasing our world-class food, wine and recreation opportunities. Super Bowl 50 Philanthropy – The 50 Fund: 50 Fund is the signature philanthropic initiative of Super Bowl 50. Its goal is to help close the opportunity gap that exists for Bay Area children, youth and young adults living in low-income communities. Through its grantmaking programs, 50 Fund will support organizations and initiatives making a difference, tackling big issues and scaling their impact. Super Bowl Sustainability: The Sonoma County Winegrowers are proud to partner with the Host Committee and help support their efforts to become the most sustainable Super Bowl in history. Volunteer: The Super Bowl Host Committee and Sonoma County are looking for volunteers to support their events and other activities during this major sporting event. Click here to sign up for more details.